Genomics has transformed the biological sciences. From epidemiology and medicine to evolution and forensics, the ability to determine an organism's complete genetic makeup has changed the way science is done and the questions that can be asked of it. Its most celebrated achievement was the Human Genome Project, a technologically challenging endeavor that took thousands of scientists around the world 13 years and over 3 billion US dollars to complete. 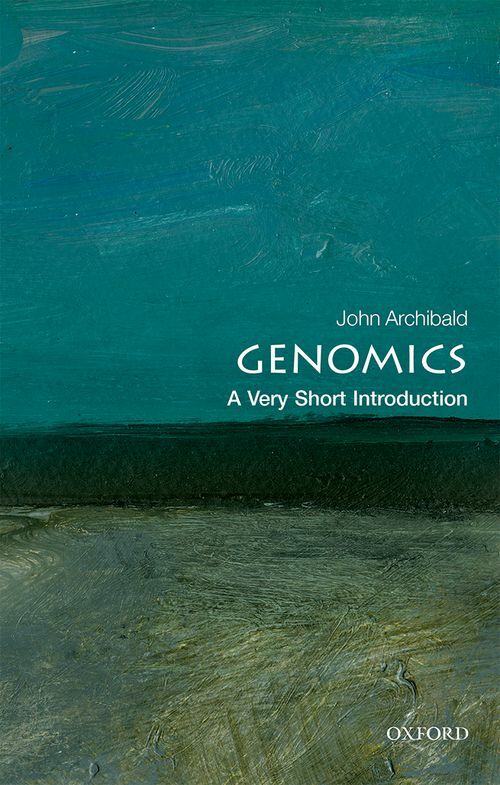 In this Very Short Introduction John Archibald explores the science of genomics and its rapidly expanding toolbox. Sequencing a human genome now takes only a few days and costs as little as $1,000. The genomes of simple bacteria and viruses can be sequenced in a matter of hours on a device that fits in the palm of your hand. The resulting sequences can be used to better understand our biology in health and disease and to 'personalize' medicine. Archibald shows how the field of genomics is on the cusp of another quantum leap; the implications for science and society are profound. John Archibald is a Distinguished University Research Professor in the Department of Biochemistry & Molecular Biology at Dalhousie University in Nova Scotia, Canada, and a Senior Fellow of the Canadian Institute for Advanced Research, Program in Integrated Microbial Biodiversity. He is currently an Associated Editor for Genome Biology & Evolution, and an Editorial Board member of several journals, including Current Biology, BMC Biology, and Environmental Microbiology. Dr. Archibald's scientific interests revolve around the diversity and evolution of microbial eukaryotes and their organelles. He has written more than 100 scientific publications, and is the author of One Plus One Equals One: Symbiosis and the Evolution of Complex Life (Oxford University Press, 2014). In recognition of his scientific achievements, Dr. Archibald was elected to the College of New Scholars, Artists and Scientists of the Royal Society of Canada (2016-2021).